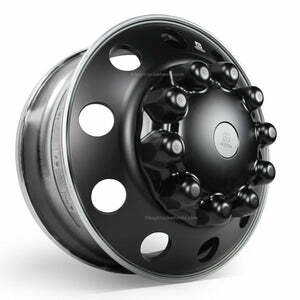 Black 22.5 x 8.25 Classic Round Hole Semi Truck Wheel Package. These Heavy Duty Forged Alloy Wheels come Painted Gloss Black with Free Shipping! The strongest and toughest wheels in the industry. Through the highest quality forged 6061 alloy available combined with years of experience in engineering high performance racing wheels ATX has maximize strength to weight ratios and provide some of the highest load limits in the industry. Not to mention gloss black finish is formulated to last against the harshest conditions and road chemicals. Styled after the legendary and original American Racing wheel the "Baja" is the iconic style that epitomizes custom wheels. 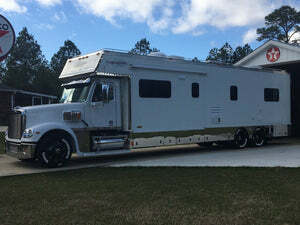 Available in a polished finish. Custom 4 and 5 tab caps.